GAME OF THRONES: A NEW ORIGINAL SERIES, NOW ON HBO. 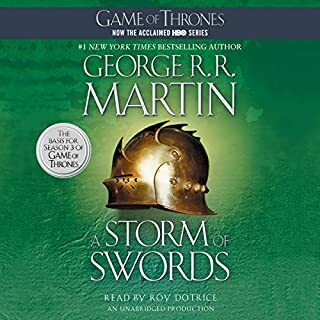 I have been enjoying this book series immensely, and Roy Dotrice's performance has been phenomenal UP until this book. 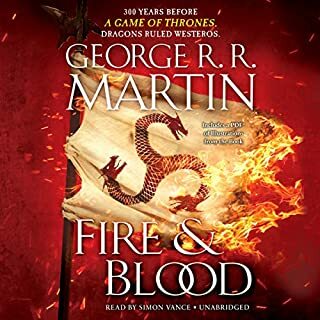 I've been told now, after listening, that this has been the least favourite book of A Song of Ice and Fire fans, and I can understand why. While overall enjoyable, the book is a massive departure from the characters I've been getting to know intimately for the past three books, and attempts to flesh out some minor characters. I absolutely loved following Brienne of Tarth through the book, and she quickly became my favourite character through this story. Jaime Lannister is also brought to the forefront, and I loved getting to know him as a character better. He becomes far more compelling overall. My largest gripe, however, is with Roy Dotrice's performance. I've been told that he had been mispronouncing names for the first three books, but he had been very consistent about it. I think someone told him between books two and three where a couple discrepancies showed up, and he really took it to heart for four. Brienne's pronunciation. Lady Catelyn's pronunciation. Lord Petyr's pronunciation. All changed. I could get through this, however. But then Petyr's voice COMPLETELY changes between performances. Sam's voice changes (more moderately). Others as well. It's so jarring and I personally didn't enjoy any of the chapters with Petyr specifically, because I had grown to know him as he was. The new voice seems completely out of character for him. Just couldn't come to grips with it. I honestly wish Mr. Dotrice had a voice clip to listen to BEFORE recording to remind him of who they were, and how they sounded to keep the consistency up. New characters and the ones that remained steady were A1, as usual. I wanted to love this book, but ended up only liking it. Mr Dotrice's performance was well delivered, but his characterizations were not consistent at all, and it had a definite affect on my enjoyment of the book. 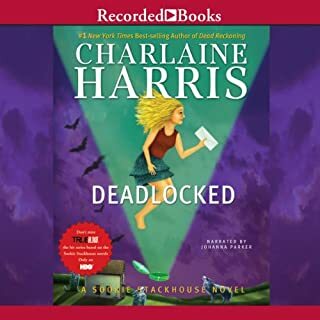 Overall, a worthwhile read (if only to get to book 5 - which I just started yesterday #Audible1 ). this is the 4th in the series and I'm loved all so far. The narrator has done all 4 thus far and I can't imagine anyone being a better reader then he is! 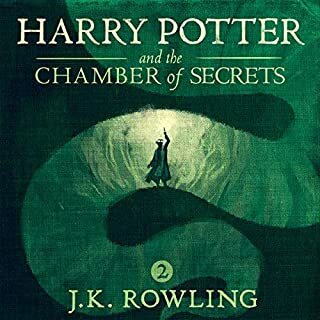 This is another great book in the series but yet again the Narrator butchers the names of characters, not only mispronouncing them but switching here and there how he pronounces them. Also the voices he has used for characters in past books have changed. The narrator is not consistent in pronouncing character names. The storyline is also a bit slow. I end up dosing off after a few minutes because the narrator has about 3 different voices (which is not enough for this book) which makes the narration monotone. The dornish and kings landing chapters which were two of the main stories in this book, are actually pretty boring. why does Arya suddenly have such a strange accent?? she didnt in the first 3 books. 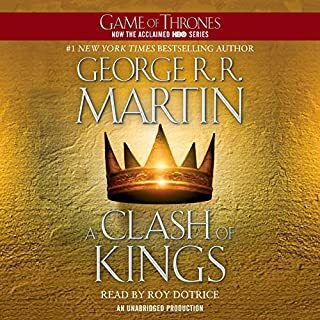 If you, like me, have been listening to the Song of Ice and Fire Series as read by Roy Dotrice, then odds are you've grown accustomed to not only the delivery, but the wide range of character voices that Dotrice handles so well. You've probably come to recognize some of your favorite characters just by the voice he uses to portray them. If so, you will find A Feast for Crows to be a rather jarring listen, at least initially. First, a bit of history. 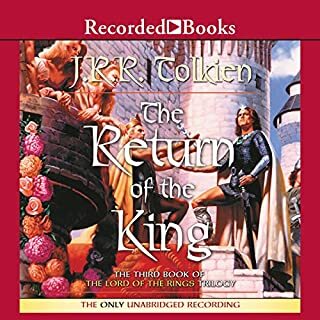 When the audio release for this book in the series was first recorded in 2005, Roy Dotrice was not available, and the book was instead read by John Lee. Many fans were perturbed by this fact, and requested an edition read by the same actor as the rest of the series. 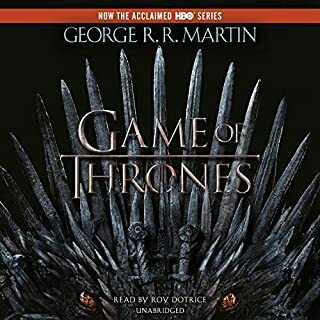 After the HBO adaptation of Game of Thrones became popular, and the fifth book in the series had seen release, the books received renewed interest. Hoping to appease this new fanbase, Random House finally relented on giving the fans their long-requested wish. Thus, it was in early 2012, nearly 7 years after the initial release, that Roy Dotrice was brought into rerecord A Feast for Crows. It would seem, however, that in that time Dotrice has forgotten which voices belong with which characters. For example, the characteristically obsequious tone of Petyr Baelish has been replaced with a rather out-of-place gruffness with a slight brogue. Moreover, pronunciations of names have changed significantly, generally moving from a read-as-written interpretation to treating the names as archaic written forms of modern names. Brienne's name has shifted from Brai-een to Bree-anne, and Petyr's name has shifted from Pit-tire to Pete-ur. While you will quickly grow accustomed to the changes, it nonetheless feels unnecessary; Dotrice should have been professional enough to review his previous performances to stay consistent with the latest edition. As for the story itself, the spotlight of A Feast for Crows is placed rather differently than its predecessors. Entire story lines, characters, and regions of the world will go nearly untouched throughout this entire book. While this is made up for in the sequel (which is at least partially a parallel narrative), some readers may become bored with their favorite characters being thrown to the wayside. Still, the story lines this book chooses to follow are interesting, well-written, and add to the tapestry of interwoven plots that make the series so interesting to read. 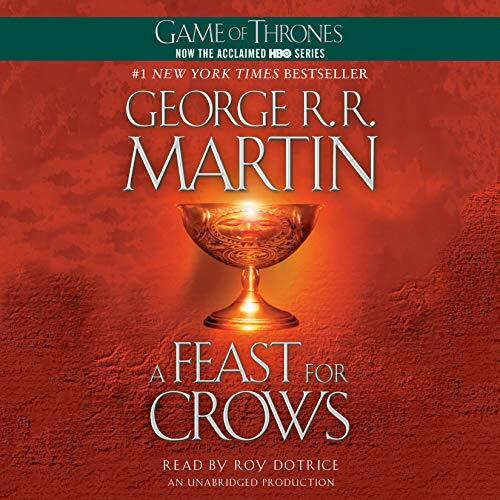 Ultimately, if you've already read the first three books of a Song of Ice and Fire, you're unlikely to be deterred by A Feast for Crows. While Dotrice's performance is inconsistent with previous entries, the quality of that performance is no less admirable. And while the focus of the story differs from its predecessors, you will still likely find yourself involved with the happenings of Westeros. 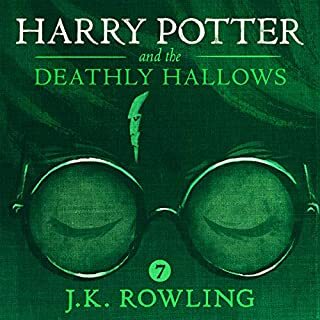 I love this series and feel that the narrator did a good job (not great) in previous books. However, like the rest of the reviewers, the voices are so far off that its a great distraction to this wonderful story. Arya Stark for instance sounds like an old crone, whats with that?! I feel this book should be corrected by this narrator and re re released to the loyal customers who read these books. Its not fair to us and its not fair to the Author. Lastly, I feel the editor (or producer) of the audio book should be taken to task. It doesn't seem like they even listened to this or else they would have picked this up in minutes. This is purely a comment on Roy Dotrice and the producers of this "mummer's farce". He hasn't even shown enough respect for those of use who have invested over 100 hours listening to this series to even review the pronunciation of the characters we've come to love. The accents of the characters have changed so much it's confusing to follow a conversation. Catelyn is no longer "Cat-linn" but "Kate-lyn". Petyr is not "Pet-ire" but Peter. Any narrator worth their salt keeps track of the accents and voices they lend to their characters, when working on a series. It's a slap in the face to hear this second-rate reading of a fantastic tale. Not happy Roy, I wish Audible gave refunds for unsatisfactory purchases. What didn’t you like about Roy Dotrice’s performance? 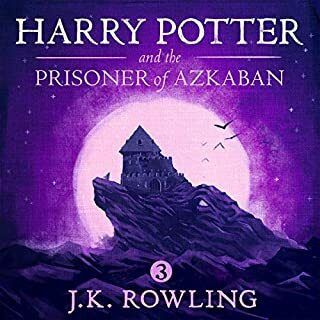 If you have invested almost a 100 hours of listening at this point to go on to book 4, be prepared for a disappointing shock! Roy Dotrice, one of the best narrators here, has totally changed course with this one! He pronounces names differently, and the characters voices! Characters we have come to love, like Sam, or for the love of God! Aria now sounds like an old crone!!! 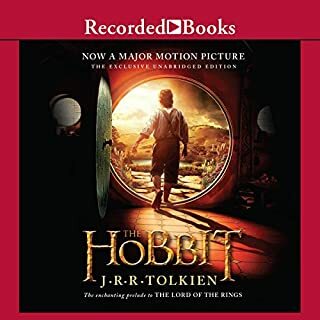 I have spent a lot on this series and am completely crushed by this, as a lover of audible books I now realize how important consistent narration is. Be Warned!!! you will have trouble paying attention to the story because of the change in characters. What would have made A Feast for Crows better? Consistancy in pronunciation and voices between this book and the first three. Roy Dotrice has read 100 hours of ASOI&F to me, and then changes up the way he says major character names, without some kind of forward explaining the change? It makes the book difficult to immerse yourself in. What was one of the most memorable moments of A Feast for Crows? Having to stop the book and rewind in order to figure out who the author was talking about, because I didn't recognize the name. I would have preferred Roy Dotrice, performer of the first three novels. Not this Roy. Dotrice imposter. If you're a huge fan of the series, there's little doubt that you'll purchase this book too. But if you're not sold yet, end the series with A Storm of Swords and save yourself the frustration. 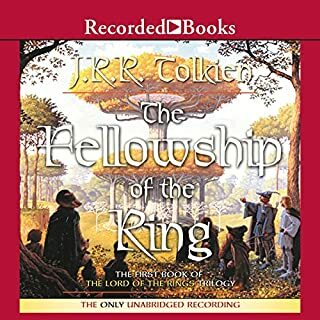 I love this series, and I love audible; but this is the first George R.R. Martin book for which I selected the audio version. 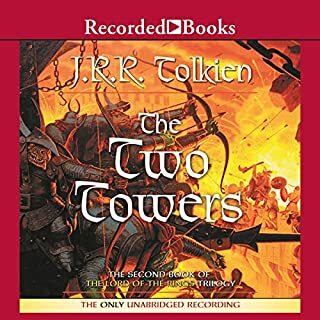 While I simply could not put down the paperback books in this series, I could not finish listening to this narration. I do think that the story itself is a little weaker than the previous three - two of my favorite characters, Arya and Tyrion, fade nearly into oblivion as the action pounds along, and we spend way too much time, in my humble opinion, on plot background and exposition. And why does Daenarys mostly vanish? What happened to her? Seems like she might be important, what with the dragons and all. We spend a tremendous amount of time inside the heads of folks with, from my perspective, less significant insights and back-stories, such as Brienne and random members of the Greyjoy clan. However, the weakest part of this book is the narration. There is very little vocal differentiation between characters, and his rendering of the female characters is almost impossible to listen to. They sound like crazy old women. I have switched over to the paperback version of this book, which I am enjoying rather more. 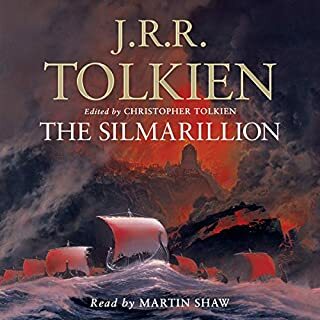 Although I almost always prefer to listen to audiobooks, and I have a serious audible addiction, this is one series I'll be completing visually instead. Is Aria auditioning for a Lucky Charms commercial? Every time Aria speaks in this book I find myself expecting to hear her refer to the old god's as "magically delicious". 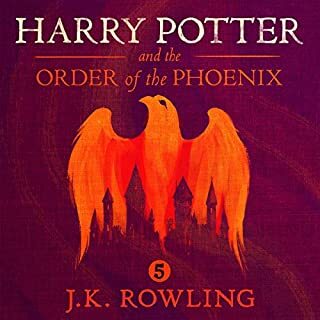 This new voice is a complete departure from her voice in the first books. And while Roy Dotrice's apparent inability to remember how he pronounced a name not only in other books but even earlier in the same paragraph is distracting, the story itself is as solid and well written as I have come to expect from Martin. Dotrice chooses to use a mix of both his former pronunciation and the new in this book, most notably as follows. If he decided to pronounce Catelyn as Caitlin I could adapt but he switches constantly between the old and new pronunciations so it is difficult to become settled into listening to the tale. Roy Dotrice has let us down. He has changed his pronunciation of key characters' names. He has changed characters' voices. He is inconsistent in pronunciations, flip-flopping all over the place. AND the voices he chooses are ridiculous! Sam sounds retarded, and Aria sounds like a leprechaun. I don't know what happened, but to me it sounds like Roy has dementia or is drunk, and the producer was obviously asleep at the wheel. I'm returning this, what a waste of a credit. I'm so pissed off, I really loved having this good long series lined up for listening, now I'm going to have to switch to print which has a whole different place in my life, and I'll have to find something else for listening. Changes in Voices KILL the Whole Effect! 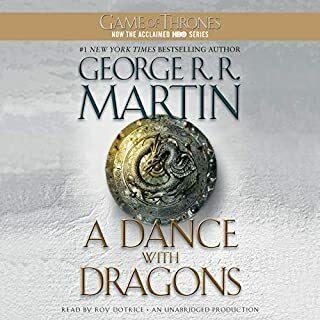 Loved the first 3 books with Dotrice reading them, but just about had to quit listening when Arya and Danni had different voices in this book - agh! They sound like old crones now. Also, the pronunciations are off for several characters which is annoying too. This is the weakest of the series in storyline (too many new people with too many minor tie-ins) but the narrator definitely needs to get back to voicing Arya and Danni like young women, not old hags. I understand what everyone else have to say about the narration by Roy Dotrice. That being said I wasn't as disturbed as others were. The difference in Arya's tone is poignant yes but it isn't that mind boggling to understand. He still has that ability to capture you and after the original... shock, you once again are able to ease yourself into the book and the wonderful narration. 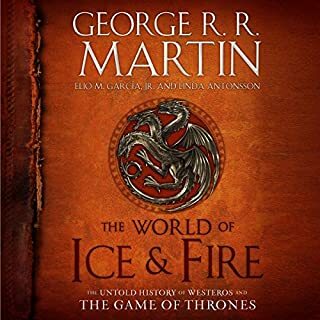 George R. R. Martin keeps twisting the story all over the place... As with the other books you WILL find parts of this book that leaves you saying 'Why?! ', 'Seriously George?' and 'No!!!' 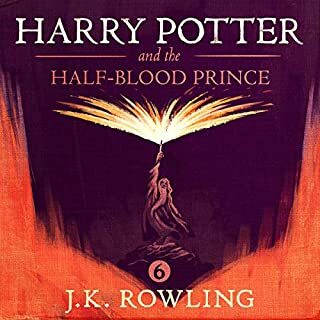 You do see where these happenings seem to fit in the overall plot but at this point I am almost afraid of continuing to listen the book (not that I will actually stop) because I am concerned as to who he might kill next or what other twist he might throw in my face. At different points in the story you really don't know who is the bad guy/woman and you honestly don't know who to trust. At this point I am just saddened by what's going on with the Starks in general and I don't see where or how they will truly recover. I am honestly at the point now though that I would really want the good guys (whoever they are) to actually have a happy ending and the bad guys (again whoever they are) their just rewards. The book itself is, unsurprisingly great. 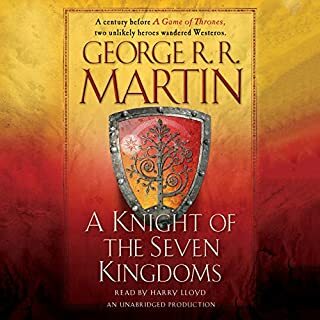 However, Dotrice’s narration, which has thus far been competent throughout the series, becomes frustrating at multiple points during this book; the main issue being gross inconsistencies between accents, not only between a particular character’s accent from the previous books (Arya switching from her standard Stark British English to some bizarre Scottish accent), or even changes to a character’s accent within this book, most notably Petyr Bailish, who changes accent 3 times during the course of the story, each different from his accent in the previous books. Still, remains highly recommandable overall, but these inconsistencies were frustrating to listen to.